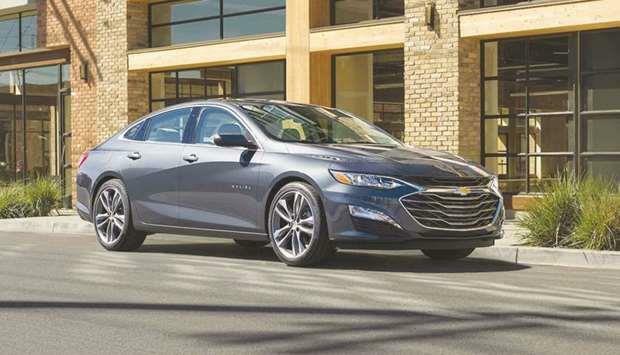 (MENAFN - Gulf Times) The all-new and upgraded Malibu midsize sedan has made its way to the Middle East, it has been announced. Offering 'stellar fuel economy, active safety features and engaging performance, the 2019 Malibu is now on sale in Chevrolet dealerships across the region, according to a press statement. The 2019 Chevrolet Malibu is available exclusively with Jaidah Automotive in Qatar. Ahmed Soudodi, head of Brand at Chevrolet Middle East & Africa, said: 'The 2019 Malibu has been extremely well received in our market, which comes as no surprise given it's the most technologically advanced vehicle to bear the nameplate to date. Today's savvy consumer demands fuel economy as well as dynamic performance, and thanks to its state-of-the-art new turbo family engines, the 2019 Malibu delivers amply on both fronts. I am confident it will continue the winning streak of its predecessor in the region. Equipped with a new 1.5L turbo-charged engine, the 2019 Chevrolet Malibu can deliver fuel economy of up to 16.7km/L 'among the best in its class. Mated with a proven six-speed automatic gearbox, the engine develops 163 horsepower and 250Nm of torque at 2,500-5,000rpm. Also available is a 2.0L turbo-charged engine, producung 250 horsepower for exciting performance, while returning a frugal fuel consumption of just 14.2km/L, the statement adds. The 2019 Malibu comes with a comprehensively upgraded exterior with a more sporty and aggressive look that matches its performance credentials. The cabin has also received equal attention with the new Chevrolet Infotainment system offering 'outstanding connectivity and entertainment features - including Apple CarPlay and voice recognition. The car is also equipped with passive and active safety features such as Lane Departure Warning, Blind Sport Alert, semi-automatic parking and more. To further ramp up the appeal, the 2019 Chevrolet Malibu is available in nine new exterior colours, including three additions: Seeker, Dark Shadow and Blue Metallic. Also offered are new wheel designs that further heighten the visual drama of the Malibu on the road. 'With the 2019 Malibu, we are breaking the monotony that can sometimes be associated with the midsize family sedan segment. Not only does it look striking, but it also delivers performance that truly matches its aggressive looks without compromising on fuel economy, the comfort or the safety of its occupants. Fully equipped, the 2019 Chevrolet Malibu has the most comprehensive active safety features, which is paramount given its remit as a family car, added Soudodi.